Do you want an action packed day? Want an event for 6-99 year olds? Maybe you just want to learn something new or expand your team skills! Laser Combat Ops Multi Activity Centre is here to help. The owners are ex forces with over 45 years service between them so your event will run to military precision. Just book online, or give them a call, and they will do everything they can to ensure you have an fantastic day. When you arrive at our site our friendly staff will greet you and assist you with the booking in process at reception. Help yourself to free tea and coffee, listen to the days brief and enjoy yourself. You will have a day to remember. Check out our events by clicking the links above. Battle Stations Activity Centre is a Multi Activity Centre with so much to do from 5 years old. 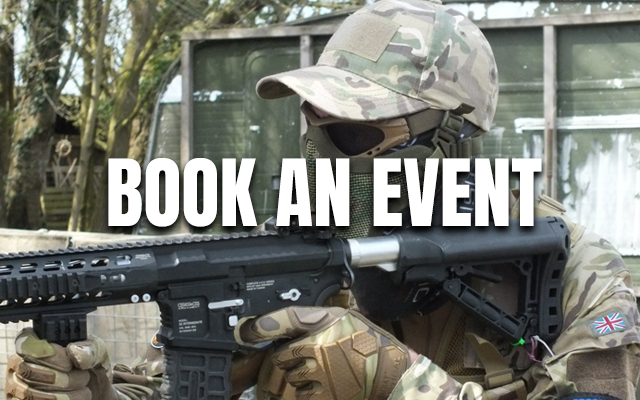 We provide Laser Tag, Indoor Nerf, CQB Airsoft, Indoor and Outdoor Archery, Arrow Tag, CQB Paintball, An Indoor Pistol & Rifle range, Table Top Gaming and The Force Academy Saber training. Our facilities are outstanding with themed gaming areas indoor and out. Surround sound in all game zones, plus smoke, laser lights and special effects in our indoor field. The outdoor Game fields are also floodlit so you can game all year around. We have an Indoor Safe Zone so you can leave all your spare kit in the dry whilst your in battle.